There's nothing like the satisfaction of sitting down to a delicious meal that you prepared yourself. Whether you're fresh to the kitchen or you're a seasoned pro, a cooking class can help you take your culinary game to the next level. Here are our picks for the 10 best cooking classes in Mississippi! Located in the beautiful Alluvian Hotel, a class at the Viking Cooking School is the perfect event for a special occasion. Their classes range from black tie entertaining to farm-fresh cuisine. And since the school hosts thousands of students each year, you can be sure you're in good hands. At the Farmer's Table, you'll learn more than just cooking basics. You'll learn about connecting with your food, thanks to the Farmer's Table's commitment to using locally sourced ingredients. These fun, interactive classes will have you cooking with ease! You may recognize Chef Danie from her cooking show, but did you know that she offers cooking classes, too? Learn to make dishes with her signature Southern flair. You can sign up for an existing class or hire her for your own private event. At the Kitchen Table, you'll feel so comfortable, you might forget you're not at home. They regularly bring in guests from all across the Southeast, so keep an eye on their schedule to see the range of classes that are available! With Tu Country Catering, you can throw a unique and fun cooking class party right in your own home. You can learn new techniques from a James Beard-nominated professional chef while you and your guests laugh and enjoy yourselves. Then you get a great meal when it's all done! Lynn Meadows Discovery Center is more than just a children's center. They're passionate about providing ongoing education for the entire community. Join them on Tuesday nights for their adult cooking classes hosted by local chefs—both professional and home-taught! With small class sizes designed to give everyone an intimate and hands-on experience, cooking classes at Naomi's are an experience to remember. The classes are held in a commercial kitchen, but they use recipes you can easily replicate at home! The Mary C. O'Keefe Cultural Center (or The Mary C. as it's often called) hosts a number of regular cooking classes, so it's easy to find a time that works for you. 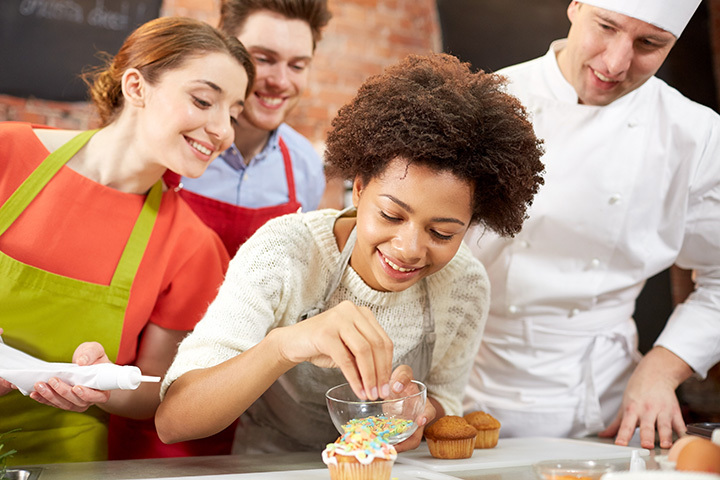 They also offer both demonstrative and hands-on private classes, and even children's cooking parties! The Elms is a beautiful building in Natchez which was built in 1804. Today, the Elms is owned by Esther Carpenter, whose family purchased the home in 1878. Ms. Carpenter is a professional chef, and she shares her legendary cooking skills through her cooking classes in her beautiful home. High Cotton is a catering service in Natchez which specializes in fine dining and excellent service. It should come as no surprise that their cooking classes are just as elegant. The individual classes are three hours long and include a six course meal and two glasses of wine.